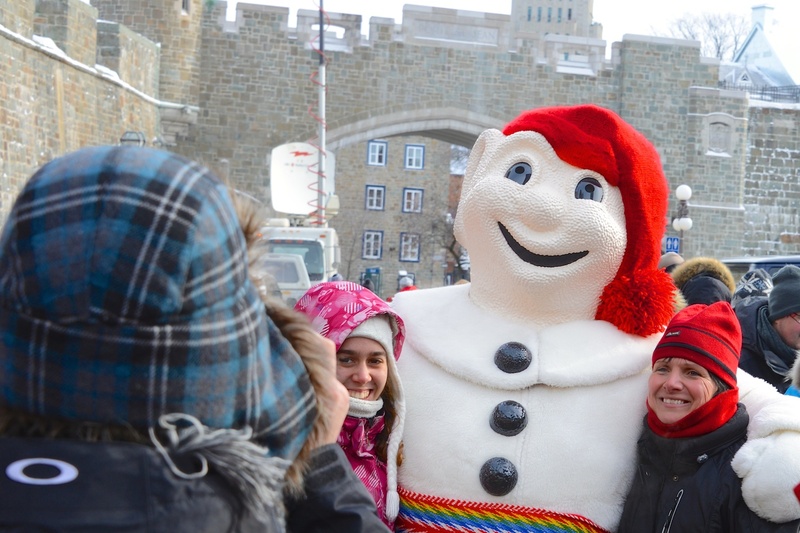 Carnaval de Quebec embraces winter in beautiful Quebec City- image courtesy of Jamie McCaffrey. 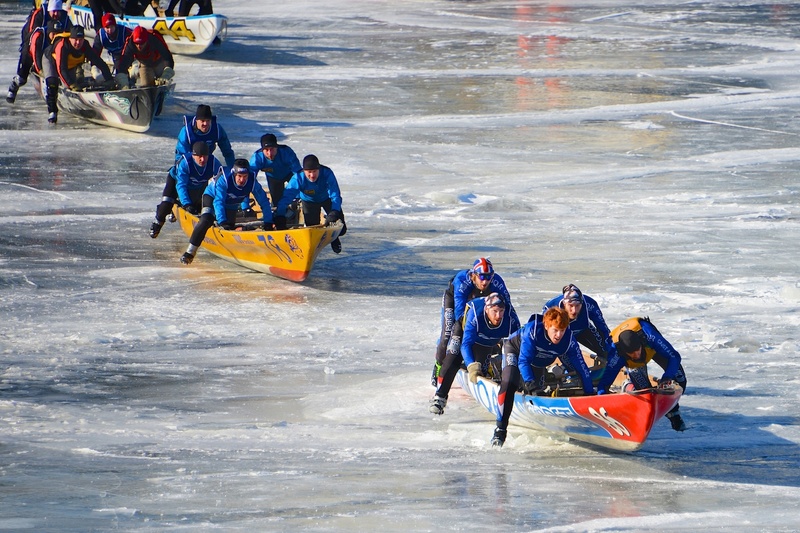 People having fun in the canoe race. Huskies enjoying the Quebec Carnaval. In winter art can comes in many forms. The glittering colours of the Quebec Carnaval. 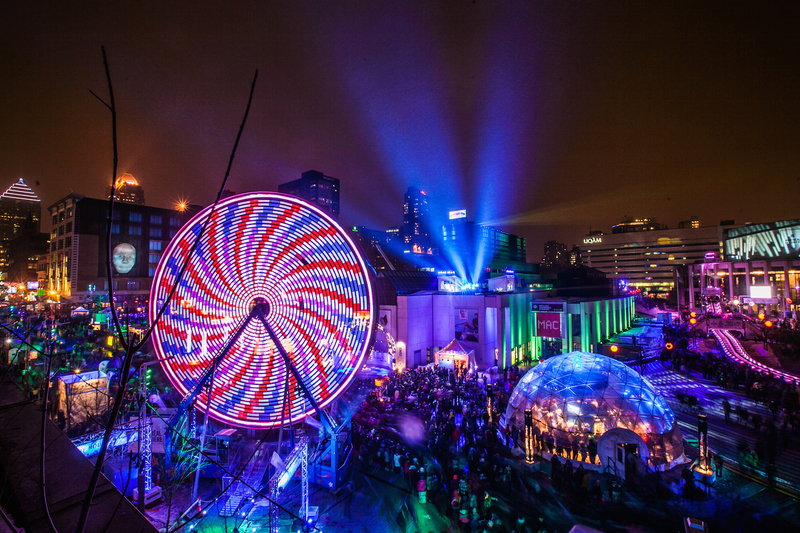 Revel at the wonderful Carnaval de Québec, one of the world’s largest outdoor festivals. Since 1894, the Carnaval de Québec has lifted the spirits of locals as they revel in snowball fights, ice sculpture contests, ice canoeing, snowshoeing and bikini snow baths – all while hoping to catch a glimpse of the festival’s mascot, Bonhomme the snowman. 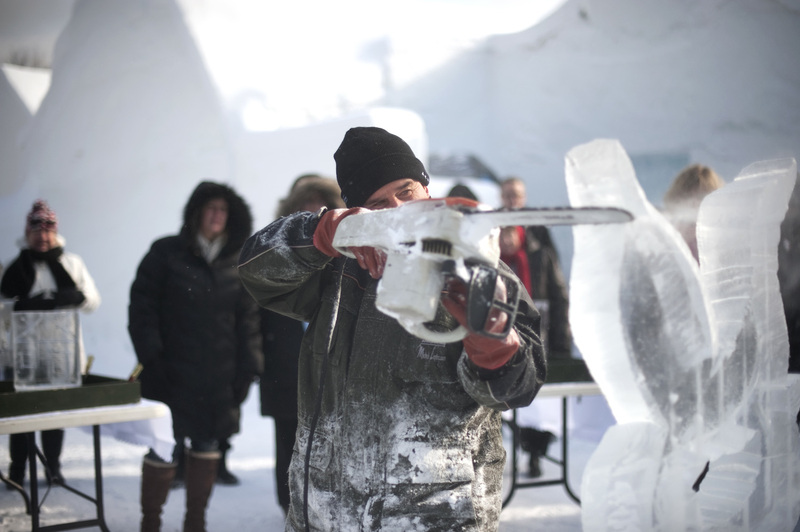 An integral part of one of the world’s largest outdoor winter festivals, Bonhomme’s energy is never-ending. Don’t miss a peek into his Ice Palace, where outdoor dance parties are held and everything is carved from more than 2000 blocks of ice. With up to a million people in attendance, it’s non-stop family fun, especially when you see the kids’ eyes light up as they dance with this loveable snowman in the twice-daily parade. The Carnaval de Québec (carnaval.qc.ca) is held for two weeks in January to February each year. 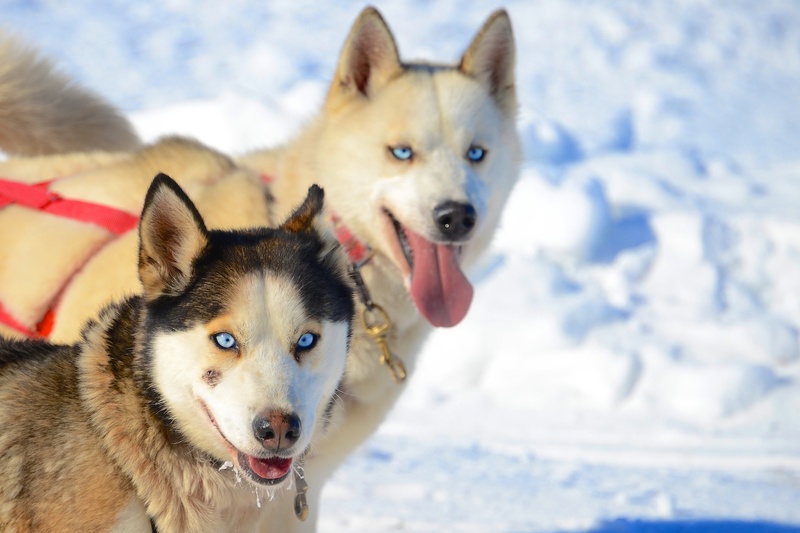 Check out Adventure World’s Winter in Québec itinerary (adventureworld.com.au). The main carnival site lies on the Plains of Abraham along the south-eastern edge of Québec City. Check out how to get there, via rtcquebec.ca.